As film prints become more and more scarce, keeping them in top condition becomes an even greater priority. Our film make-up tables give your projection booth operators the proper working tools for assembling film prints and trailers with utmost care. Ask our authorized retailers for more details. Our Compact Make-up Table with optional hand- and automatic-rewind equipment is the perfect workbench for small projection booths. The table is made with a sturdy, angle iron frame, a top supply drawer and ample room for temporary, under-table storage for film reels and shipping cases. Our Automatic Make-up Table can be used to assemble, break down, rewind or repair 16mm, 35mm or 70mm reels, utilizing interchangeable reel shafts in appropriate sizes. 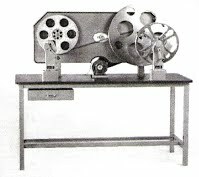 The precision, motorized system constantly automatically adjusts the winding tension to assure even distribution of the film. 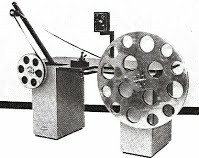 An automatic stop feature disengages the motor if the film breaks or winds to the tail. Motor speed can be adjusted with a table top control or an optional foot pedal. 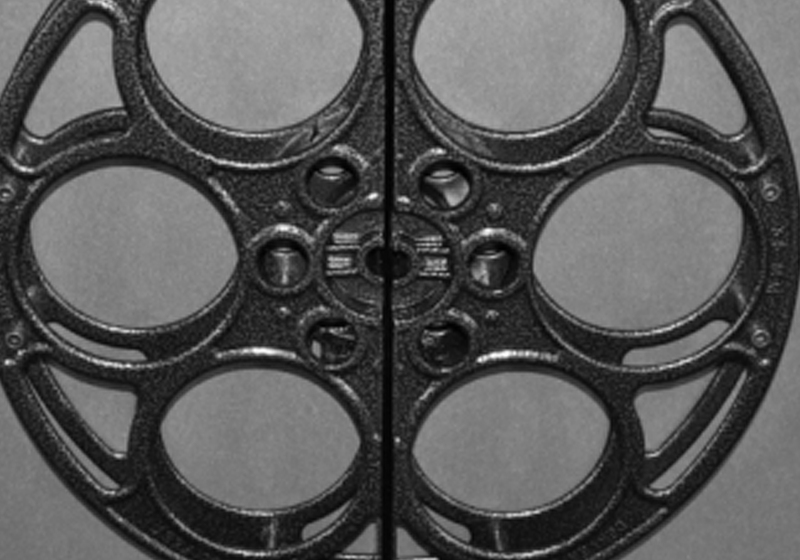 Our Asia Make-up Reel has a 15-inch diameter flange and adapts our make-up tables for use with 35mm foreign films that arrive unmounted or without reel cores. An optional trailer make-up core fits the reel for use with positive- and negative-keyed plastic trailer cores. Our Trailer Make-up Flange has a durable center hub and a black anodize aluminum construction, available in five standard sizes. This product also works with our plastic film cores and sleeves.